There are literally thousands of online businesses offering coupon codes to affiliates and coupon marketers worldwide, if used wisely, those coupon codes can make you thousands of extra dollars in affiliate commission each month! Coupon codes provided by merchant stores can be used within your CouponPress (coupon code software platform) and help you generate revenue by listing the discounted products and services on your website and providing a direct link to the merchant website using your affiliate code. The website visitor using your coupon software will then purchase the product or service at the discount price and you will earn commission based on the percentage offered by that individual merchant. 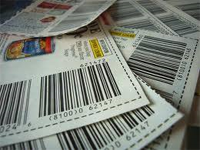 Finding coupon codes to add to your coupon software has been made easy with the CouponPress system. Built into every copy of CouponPress is the CSV import tools used many 80% of coupon software affiliates to quickly and easily update their coupon website. 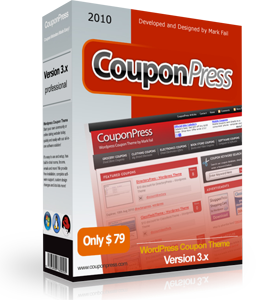 The CouponPress, coupon software platform includes everything that any coupon website owner could need to setup profitable coupon code websites online! The key long list of amazing features built inside our coupon software allow you to quickly and easily setup, manage and maintain a coupon code website with as little effort and fuss as possible.